Named to "Global 100 Most Sustainable Corporations"
Named one of the "World's Most Ethical Companies"
Advanced Office is proud to offer Ricoh's premier line of copiers to businesses across San Diego, Los Angeles, Orange County, and the Inland Empire. 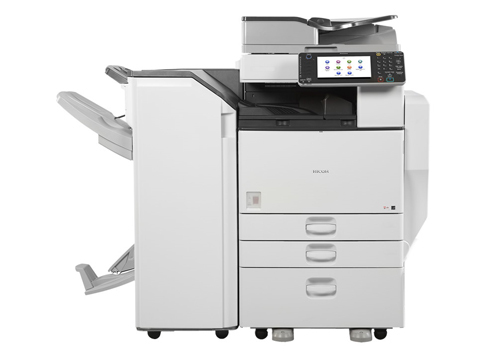 We have more than 30 years of industry experience and are fully authorized to sell, lease, repair, and maintain copiers made by Ricoh and related brands--Savin, Lanier, and Gestetner. At Advanced Office, we've built long-standing relationships with tens of thousands of businesses across Southern California and become the #1 Ricoh dealer in their Western Region. We believe our success is the direct result of offering the industry's most reliable copiers with unbeatable, personalized service and support at a great price. 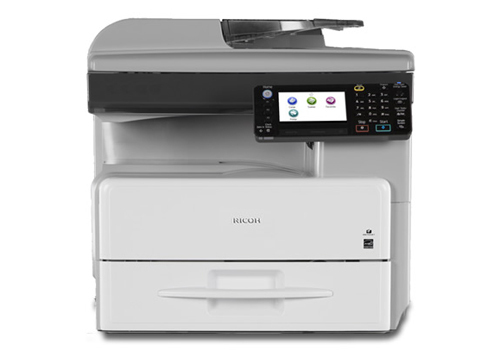 We carry new and refurbished Ricoh multifunction copiers that feature incredibly fast printing speeds, sophisticated software, and highly durable components. 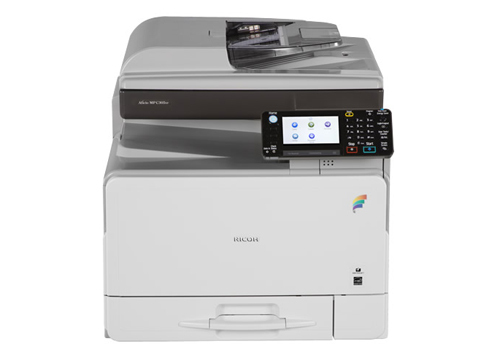 Our clients can choose from a broad selection of multifunction color and multifunction black and white copiers, both of which can come equipped with printing, faxing, scanning, emailing, and various paper handling capabilities. Some of our copiers can also perform a variety of finishing functions, such as stapling, folding, hole punching, ring binding, book binding, and booklet assembly. 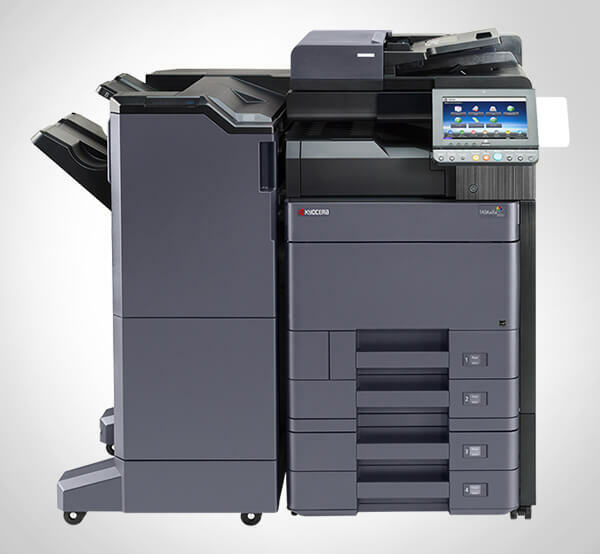 Moreover, the software applications and programming capabilities of these copiers allow organizations of all sizes to benefit from the latest advances in document management solutions. 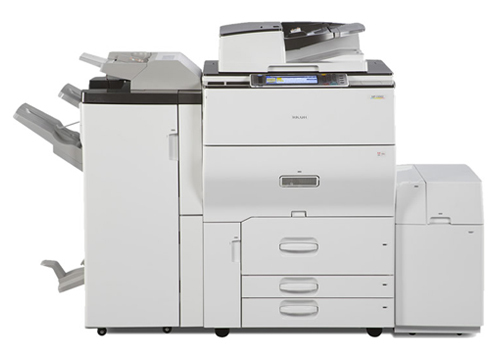 Most of our clients that purchase, lease, or rent a Ricoh copier also invest in our all-inclusive service and supply agreement because it provides complete worry-free maintenance for the duration of their contract. It includes emergency service, routine maintenance, on-call training and support, and original equipment manufacturer parts, and factory-authorized supplies, such as toner cartridges and other consumable printer supplies (basically, everything but the paper and staples). Our factory trained and certified service team averages over 13 years of experience and always travel in fully stocked vehicles. Additionally, they have access to our warehouse inventory of over 1 million parts. We have four locations strategically located throughout Southern California and a local dispatch, which allows us to respond quickly to your needs. Plus, we have developed an infrastructure that promotes flexibility and personal service without getting bogged down by red tape or bureaucracy. For clients that wish to buy their own supplies, we also offer very affordable parts and labor contracts that offer all the other benefits of our all-inclusive contract, but without the toner and supplies. 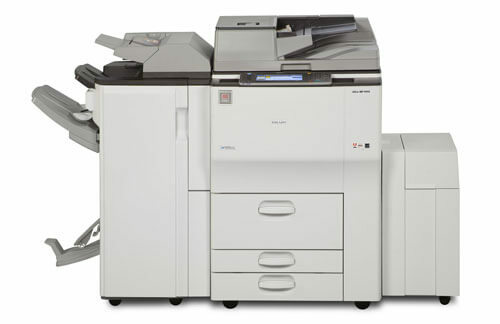 Call today for a free analysis with one of our copier and printer experts. 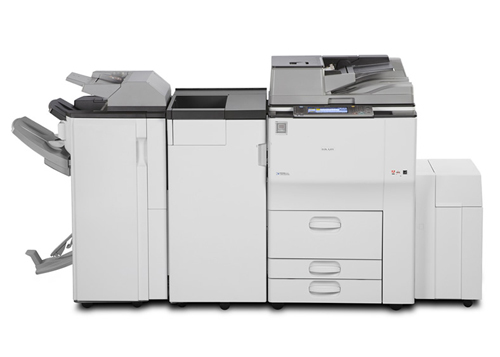 Our onsite analysis will take into consideration how your entire office operates and establish the best copier models for your needs and budget. 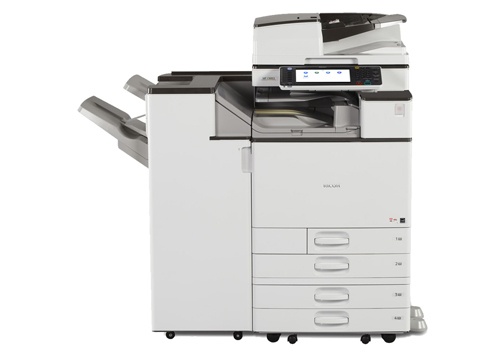 Once you have made your copier selection, we can have your new machine delivered and installed in as little as a week--sometimes, as soon as the following day. Our certified Ricoh technicians will make sure that your printer is properly connected to your network and our experienced trainers will provide all the training you need. If you are interested in learning more about our products, services, or financing options, call and ask to speak with one of our copier consultants. Jerry did a very efficient job at determining what was wrong with our fax machine - In addition, he was polite, very professional, thorough, helpful and he provided . . .